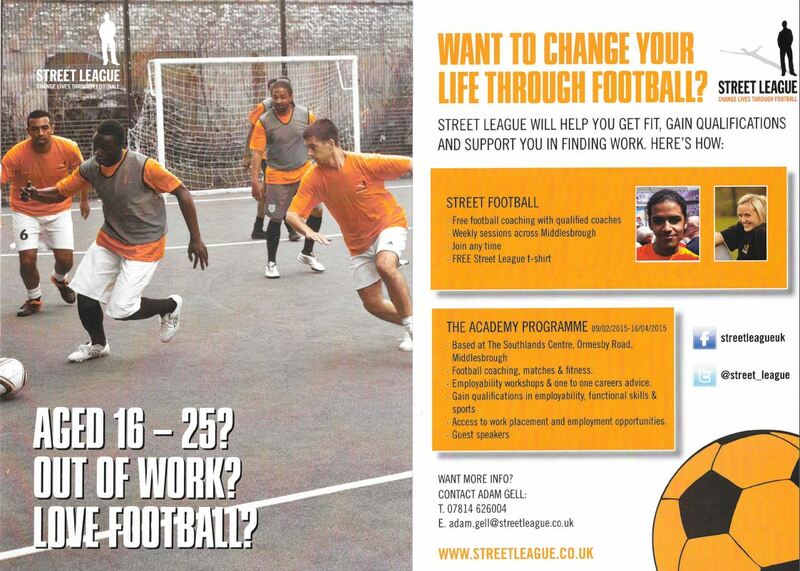 Football, fitness and employment support for free to anyone aged 16-29 years. We work with a wide range of employers in; sport, fitness, retail, warehouse, teaching, hospitality and mechanics, including many more! We run both a course consisting of a group sessions, individual employment support and open sport and fitness sessions, including football matches. The course will help you access employment, further education or further training with regular group and/or one-to-one support. Along the way, you will increase soft skills such as; confidence, self-management, self-esteem, teamwork, communication, drive, and you will become more informed on how to gain work independently. We are based in the Pallister Park Centre, which is inside Pallister Park, Middlesbrough, just off or on Ormesby Road. We welcome all in the age range of 16-29 years. Additional needs will be catered for.